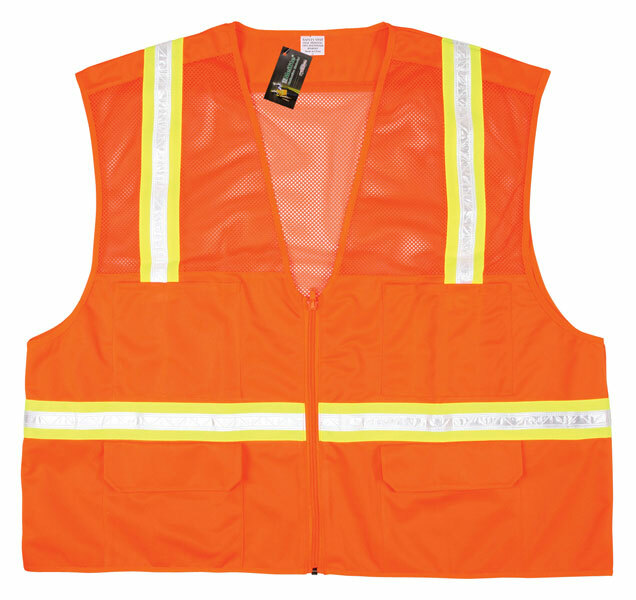 General purpose vests are ideal for high visibility applications where ANSI rated vest are not required. MCR Safety offers a variety of colors and styles of general purpose vest to best fit your needs. The HS201V vest is an economy surveyor style option that features 1 3/4" Lime/White reflective stripes. The bottom half of the vest fetures solid polyester material for durability while the top half is mesh for breathability. 4 outer pockets and 2 inner pockets allow the user ample storage space. Zipper front closure.